Idagunji is a small village in Honnavara taluk of the Uttar Kannada district, which is famous for the Vinayaka temple. The shrine is a highlight of the village of Idagunji, which receives more than one million devotees per year. It is one, out of the six renowned temples of Lord Ganesha that are situated on the westbound shoreline of the country. 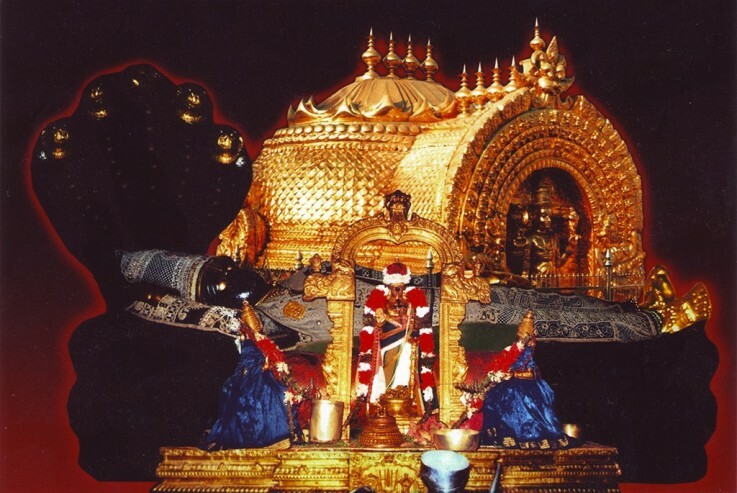 The key symbol of temple dates back to the 4th or the 5th century. 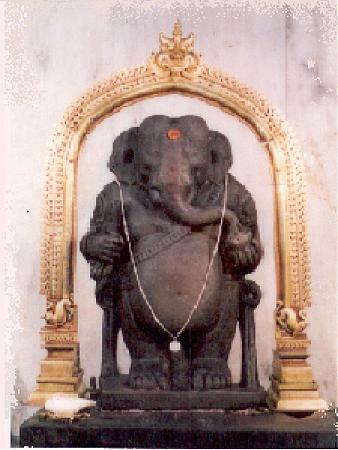 The idol of Ganesha, which is seen having two arms, identical to the idol of the Lord which is found in the Ganesha temple in Gokarna, which is situated a few kilometres away from the village of Idagunji. The idol has two hands and is seen standing on a rock piece. In his right side, He has a lotus bud, and he keeps a modak in his left-hand. Ganesha would wear a pendant that is created out of little bells. A rat, which is always seen next to almost every Ganesha idol, is not to be seen here. The picture is 83 centimeters high and 59 centimeters extensive and is placed on a stage created of stone..
As per the legend that took place at the end of the Dwapara Yuga, before the start of Kali Yuga, the temple is of prime significance. Individuals were afraid of the onset Kali Yuga, because Master Krishna was about to depart from the world for his heavenly residence before the end result of the Dvapara Yuga. The Saints started praying to Krishna and asked for his help to get over the barriers of Kali Yuga. 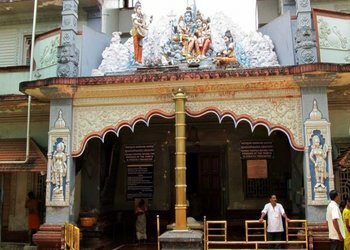 Valakhilya, who led the remaining sages, started the rituals in Kunjavana, the woods located on the river banks of the Sharavati, which meet with the Arabian Sea. He was faced with many barriers while performing the sacrifice and was angered, and that is why he asked Narada to help him to find suitable ways to deal with the issue. Narada asked Valakhilya to invoke Lord Ganesha before restoring his forfeit. Sages demanded that, Narada select a place for the performance of the rite on the river banks of Sharavathi, seeking Lord Ganesha's mediation. Even the Hindu Trinity had previously frequented this place to be able to eliminate the devils who were ruining our planet. He was knowledgeable with many restrictions while performing the bargain and was angered, and that is why he asked for Narada to help him to find appropriate methods to deal with the problem. Brahmatirtha in those days. 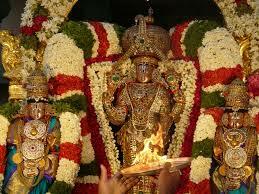 Narada and the other sages developed a new sacred lake, by the name of Devatirtha. Narada welcomed the Gods and even asked for the existence of Master Ganesha. The traditions that were conducted and the devotional music that were sung recognized Master Ganesha's success. Satisfied by their commitment, Ganesha decided upon stay there to help them in undertaking the traditions without any complications. On this event, one more lake was also developed and known as as Ganesha-tirtha to bring mineral water to the temple. This is where the supporters of the Hippo God developed the Temple of Idagunji in his name, during the 4th or 5th millennium. Devotees can attain all their hearts desires by sprinkling the different 'theerthas' and by performing poojas to appease the Lord. Also, a number of festivals are celebrated here like Vinayaka chaturthi, Angarika chaturthi and Sankashti to name a few.